Understanding your server hosting options is important whenever you’re putting up a website or blog. After all, without a host, your site will just not work. This is because a hosting service is necessary for you to store your website’s files so it can be accessible on the web. Today, there are many options for choosing a web host. Two of these are the VPS (Virtual Private Server) and the Dedicated server hosting services. Each of these hosting plans have their own strengths and weaknesses. Let’s take a look at each of them to find out which hosting plan is perfect for you. A hosting plan requires a server that stores all your website data. It also contains all other resources, such as software upgrades, security protocols, and performance monitoring, among many others. With a dedicated hosting plan, you get your own server and all the resources that go with it. Unlike the other common hosting plans, specifically shared hosting, you don’t share your server with other sites, which can potentially pose security and performance risks. With dedicated servers at your beck and call, you have can use for your sole purposes all the resources of the server. You also have free rein over all customizations and configurations of the hosting environment. Dedicated servers are perfect for sites who have a lot of traffic. You should also have technical know-how (or know someone who does) in order to maintain and optimize your server every step of the way. With dedicated servers, your resources are all yours, so you can configure it however you want it. However, if you don’t have the technical skills to manage a dedicated server, there are many hosting companies offering Managed Dedicated Server services out there (A2 Hosting). 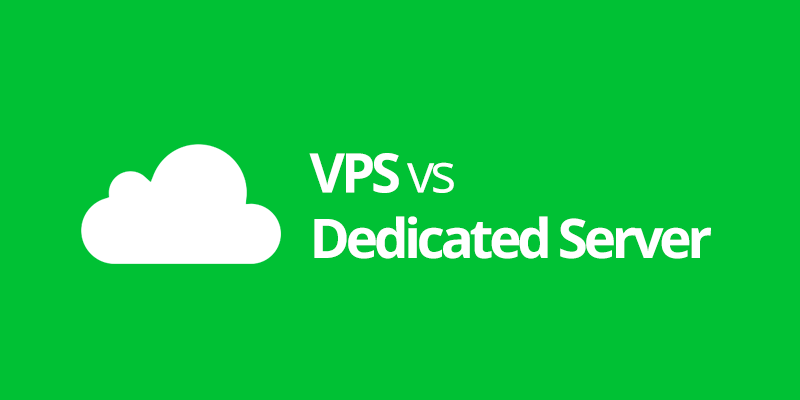 VPS hosting works pretty much the same as dedicated hosting, but powered by the cloud. Normally the price for VPS hosting plans are cheaper than having a dedicated server. On the other hand, it’s also like shared hosting, except you have more control when it comes to your resources. However, with VPS, you share your own space on the server, unlike with shared, when activities by other sites directly affect your site as well. This is because VPS uses virtualization technology so that server resources can still be split within many users without losing performance or creating security risks. In other words, a VPS hosting plan would use the resources spread by many different physical servers. Virtualization allows you and many other users to use the resources of a single server. It’s like having a single computer with many users, and these users use it in many different ways. In other words, a virtual machine image. This said, you have many flexible and customizable options with VPS hosting. Performance is also high, which is great for sites that have high and heavy volume of traffic. Both dedicated and VPS hosting can offer low-end and high-end servers. However, it’s up to you to determine which hosting service suits you best for your needs and for the end that you have in mind. When choosing a hosting service, it’s best to keep tabs on which brings in more to the table in terms of performance and security. If you need to create highly specialized software, or if you want to tune the hardware a specific way to optimize your site, then a dedicated server may be the way to go. However, not everyone needs to do that, but are still in need of a secure server that can deliver even in high traffic situations. In cases like this, a VPS is ideal. In conclusion, whatever your needs are, you should first have a good understanding of the differences and benefits you can get from both dedicated and VPS hosting. You have to weigh your options and explore the many hosting packages that are available for you in the market.